On Dec. 18, 2012 the IRS announced a revision to its voluntary classification settlement program (VCSP) that provides partial relief from federal employment taxes for eligible taxpayers who agree to prospectively treat workers as employees. Taxpayers who are otherwise eligible for the original VCSP, but have not filed all required Forms 1099 for misclassified workers for the previous three years, are eligible for the expanded program. Taxpayers under income tax audits (not employment tax audits) are eligible. Taxpayers are not required to agree to an extended assessment statute of limitations on employment taxes. 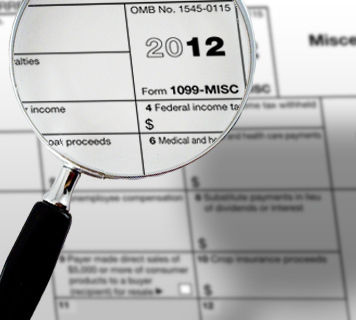 Applicants must also self-assess a reduced Form 1099 non-filing penalty. This penalty is between $50 and $100 per unfiled Form 1099, depending on the number of total unfiled forms, according to the IRS worksheet provided under the program. The maximum penalty is $10,000. Apply using Form 8952, Application for Voluntary Classification Settlement Program, and the specific instructions under Announcement 2012-46. Enter into a closing agreement with the IRS. This entry was posted in Tax Changes and tagged Business IRS Tax Areas to Watch, File Tax Return, IRS Tax Problems, Tax Problem Solutions. Bookmark the permalink.